Another fairly early start. I’m feeling a bit wobbly, as are some of the others, but we put this down to maybe a bit more beer than ideal last night, as a form of anaesthetic after the long drive. We have another stop at the Drochula Pass, which is definitely one of my favourite locations of the trip. 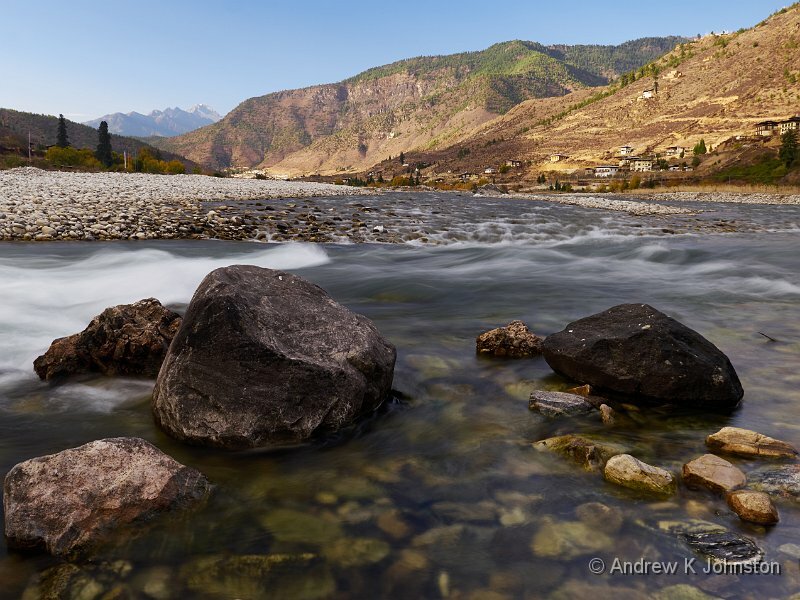 This time is in bright sunshine, and we were able to include Bhutan’s highest mountains into our compositions, rather than the swirling mists of the outward stop. I’ve been a bit challenged on food today. Breakfast was a couple of pancakes with honey, and then lunch in Thimpu was a bit of a disappointment – very spicy and nothing I could eat apart from some more bread-like stuff (green…). Dinner at the Tiger’s Nest Resort is a bit more edible, even if the main protein is Tofu! The upside is my trousers are feeling quite loose, so hopefully the trip has had the right effect on my weight! We do the horse ride and hike to the Tiger’s Nest in the morning. Fingers crossed.